Fulda Youth Hostel is located in the city's Neuenberg district, about 2,000 m away from the vibrant city centre and its sights. 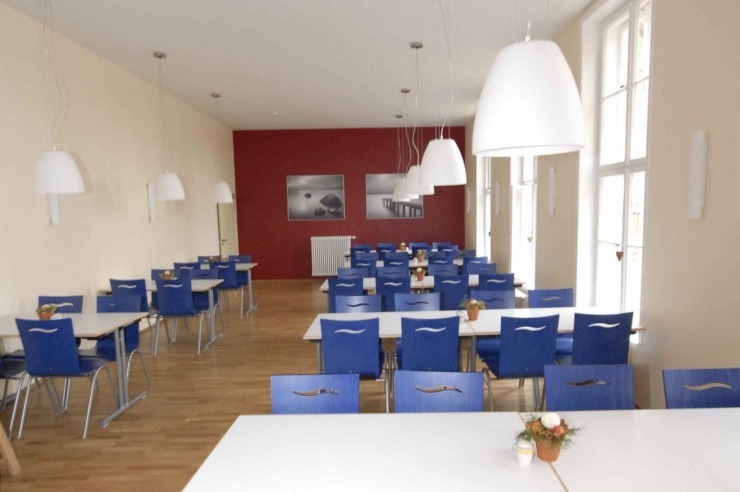 This modern Youth Hostel, located between the Rhön and Vogelsberg regions, has large grounds for sports and leisure activities as well as an artificial turf field and sports stadium nearby. 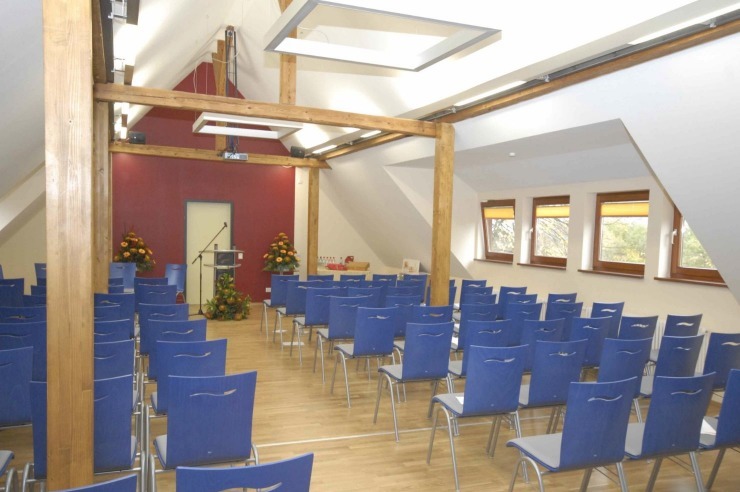 This makes it popular with track-and-field or football clubs, but it is also popular as a conference venue: modern conference equipment, internet access and a piano are available for our guests. School classes, families, hikers, cyclists and pilgrims on the Way of St. James also appreciate the generous atmosphere of the Hostel. Our kitchen will provide you with a varied diet and is happy to accommodate individual requirements upon request. A caféteria provides snacks and beverages for our guests. 1.00 p.m. - 11.00 p.m. The Youth Hostel is located about 2 km from the city centre, in the town's Neuenberg district by the "Am Pröbel" sports stadium. The modern Youth Hostel accommodates its guests in a total of 174 beds in 45 rooms with 1, 2, 4, 5 or 8 beds each. All rooms have en-suite showers and toilets and are suitable for families. Two rooms with two beds each are suitable for wheelchair users. A must for every visitor: a stroll through the city and visit to its sights, such as the city palace, orangery, historic city centre, cathedral etc. Outings to the Rhön and Vogelsberg regions. In addition, the Hostel management has put together special 5-day programmes with a variety of leisure activities, such as the "Culture, nature and fun" programme, a visit to the planetarium or the "children's academy", which is unique in Germany.